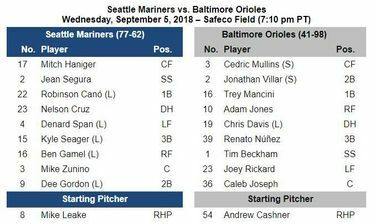 The Mariners' Tuesday defeat to the Orioles came in front of the smallest crowd of the season, and after a fight erupted in the clubhouse Tuesday afternoon. Can the M's pull it together? 7:10 p.m. | Safeco Field | Seattle, Wash.